A lovingly curated collection of information, stories, advice and helpful resources to help guide you in your journey with your twins. Discover our week-by-week guide to your twin pregnancy, plus lots of advice to help you navigate the beginning of your journey with twins. We have plenty of tips, checklists and guides to help you create the perfect twin nursery. A beautiful haven to welcome your delicious duo to their new home. We cover sleep, routines, plus lots of helpful tips and resources to help you through the first few months at home with your gorgeous new babies. 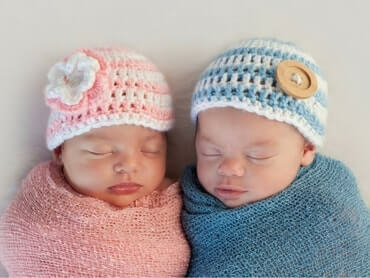 What to expect if your twin babies arrive earlier than planned. We have lots of advice from a NICU specialist plus twin mums on what it’s really like to spend time in NICU with twins. 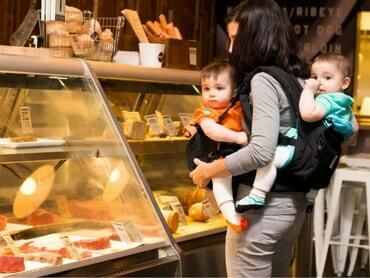 Yes you can successfully breastfeed your twins. From lactation consultants advice to great products to help – we are right beside you in your breastfeeding journey. A year full of firsts that will melt your heart. With the right twin gear and some pre-planning it will be possible to leave the house with twins! Find out how you can make it out with your sanity intact. Some tips and tricks from twin mums who have been brave enough to travel long distance with twins under one. Having twins can sometimes be a challenge so knowing where to turn when you need help can be a lifesaver. We have you covered with what support services are available to you as a parent of twins. Other twin stuff that we have collected along the way.